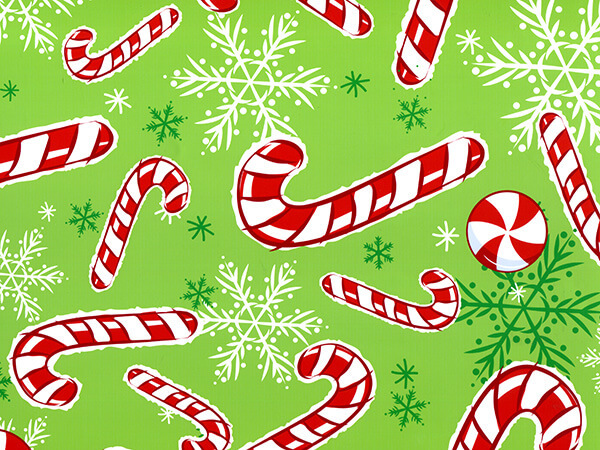 Peppermint Snowflakes Counter Roll Gift Wrap is perfect for children and adults with red and white candy canes on a light green background with snowflakes. Adorable! Made in the USA. Christmas Gift Wraps are high quality - heavy weight wrapping papers. Designs stocked in half ream counter rolls of 24" x 417' which can wrap approximately 175 -200 gifts.